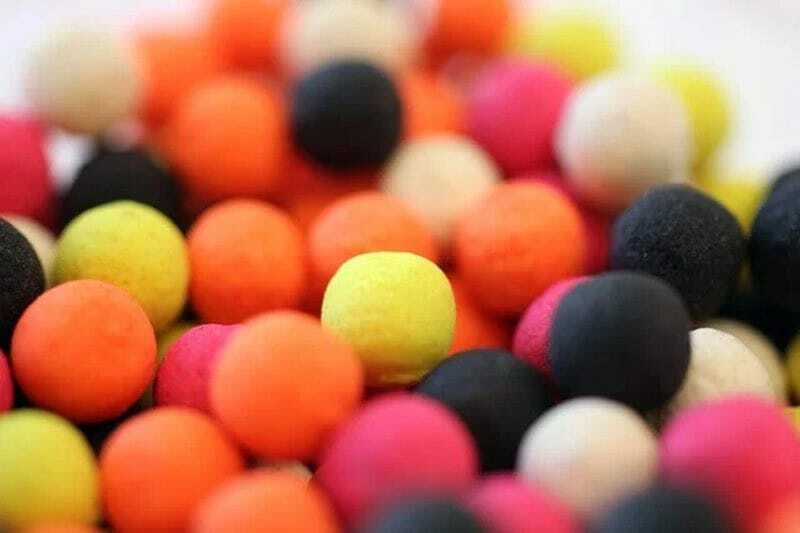 Each tub contains a mixture of highly visible colours to allow you to experiment throughout a session, including white, orange, yellow, pink and black. All have produced excellent results with our expert team of field testers. 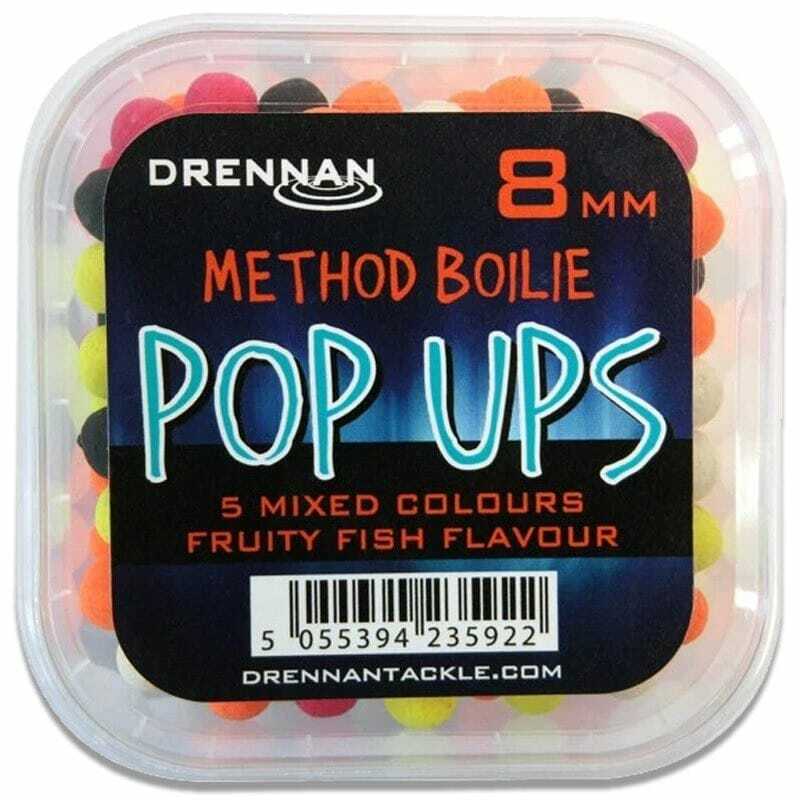 Drennan Pop Ups are also enhanced with a very special Fruity Fish flavour. This unique formula combines both citrus fruit and fishmeal flavours to give you the best of both worlds. Pop Ups are ideal for hair rigging in a variety of ways. 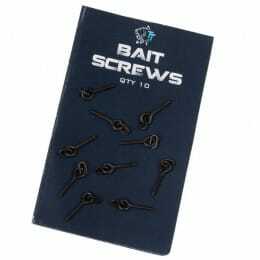 They can be 'pinned' with a boilie spike. 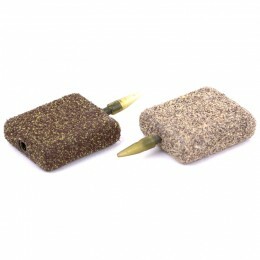 The larger varieties can be carefully drilled and mounted on a hair with a traditional hair stop or Pushstop. 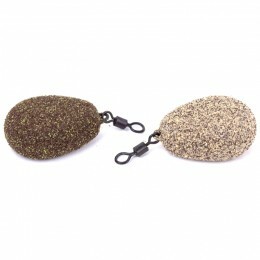 Bandit Dumbells can also be easily held inside a hair-rigged latex bait band. Pop Ups work particularly well with Method Feeder tactics. They are also really effective when fished with a bomb or straight lead setup. By carefully adding shot to your hooklength you can also vary the distance they are popped up off the bottom. With five varieties to choose from and five proven colours in every tub, Drennan Pop Ups are a worthy addition to everyone's bait bag. 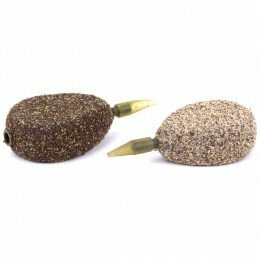 the boilies were just a touch small but other than that a great product.